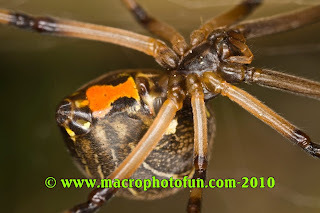 MacroPhotoFun(Click photo to enlarge) The Brown Widow Spider (Latrodectus geometricus) was first described in South America. In North America, it was restricted to Florida for many decades. However, around the year 2000, it started appearing in other Gulf Coast states such as Texas, Georgia, and South Carolina, and has become established in Southern California around 2003. 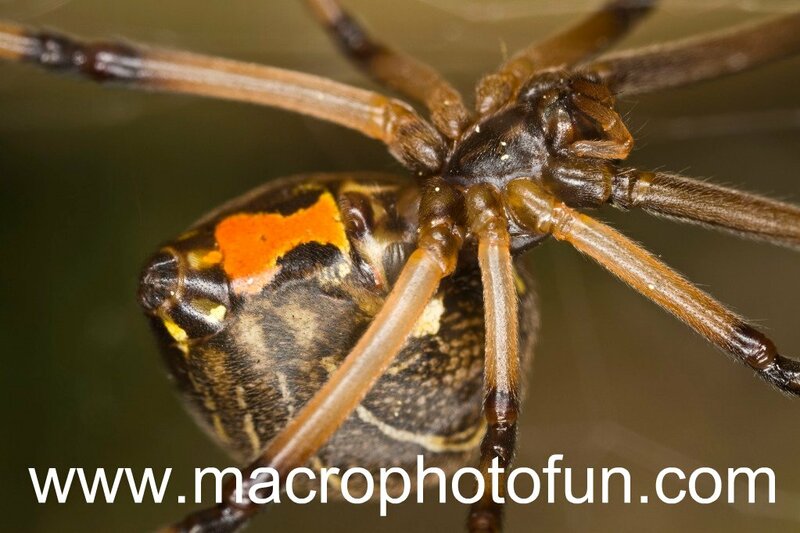 The bite of a brown widow spider is minor in comparison to that of a black widow. The two major symptoms of a brown widow bite are that the bite hurts when it was inflicted and it left a red mark. These two symptoms are not much different from the bite of normal household spiders. However, there is one recent report of a verified brown widow bite manifesting in more severe symptoms that required hospitalization of the bite victim.